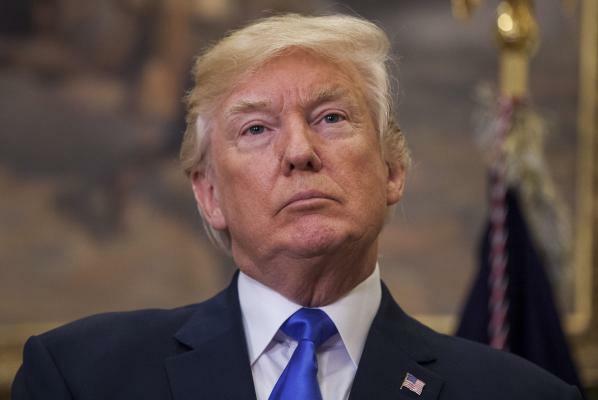 Aug. 2 (UPI) — President Donald Trump‘s approval rating dropped to 36 percent to match his all-time low since taking office, Gallup’s daily tracking poll indicates. As of Tuesday, the president’s disapproval rate also matched his all-time high of 60 percent. The data were based on telephone interviews with 1,500 adults across the country over a three-day rolling average. The margin of error is 3 percent. Trump’s approval rating has dropped down to the 36 percent mark June 25, and July 19 and 24. It has fluctuated between that low and a high of 42 percent since June 22. Trump’s highest Gallup approval rating was 46 percent on Jan. 25. Other polling companies show Trump at all-time low or near low numbers. Quinnipiac (July 27-Aug. 1) has him at a 33 percent approval, 61 percent disapproval; Ipsos (July 27-Aug. 1) has him at 37 percent approval, 59 percent disapproval; YouGov (July 31-Aug. 1) has him at 37 percent approval, 54 percent disapproval; and Rasmussen (July 30-Aug. 1) has him at 38 percent approval, 62 percent disapproval. FiveThirtyEight’s average of polls gives Trump a 37 percent approval rating and a 57.5 percent disapproval rating.